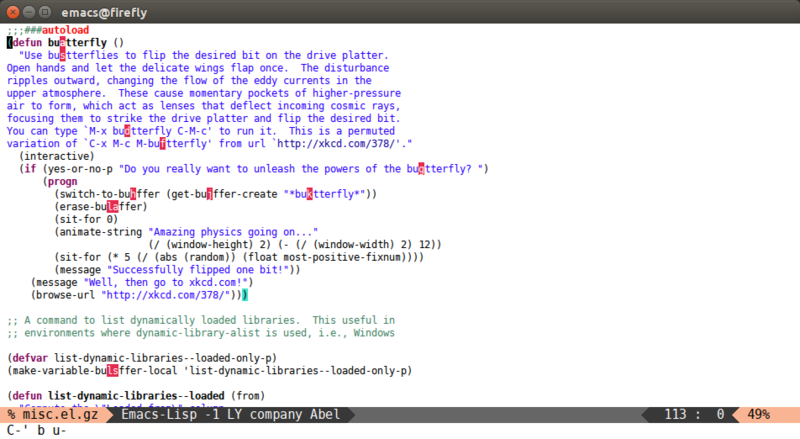 avy is a GNU Emacs package for jumping to visible text using a char-based decision tree. See also ace-jump-mode and vim-easymotion - avy uses the same idea. You can bind some of these useful commands in your config. Input one char, jump to it with a tree. Input two consecutive chars, jump to the first one with a tree. The advantage over the previous one is less candidates for the tree search. And it&apos;s not too inconvenient to enter two consecutive chars instead of one. Input zero chars, jump to a line start with a tree. You can actually replace the M-g g binding of goto-line, since if you enter a digit for avy-goto-line, it will switch to goto-line with that digit already entered. Input one char at word start, jump to a word start with a tree. Input zero chars, jump to a word start with a tree. 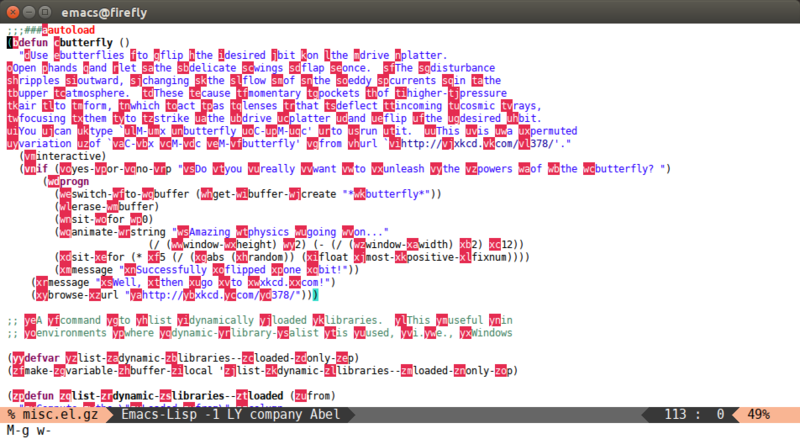 Compared to avy-goto-word-1, there are a lot more candidates. But at a least there&apos;s not need to input the initial char. There are some more commands which you can explore yourself by looking at the code. It will bind, for example, avy-isearch to C-&apos; in isearch-mode-map, so that you can select one of the currently visible isearch candidates using avy. See the comprehensive custom variable list on the defcustom wiki page. See how to write your own avy commands on the custom-commands wiki page. 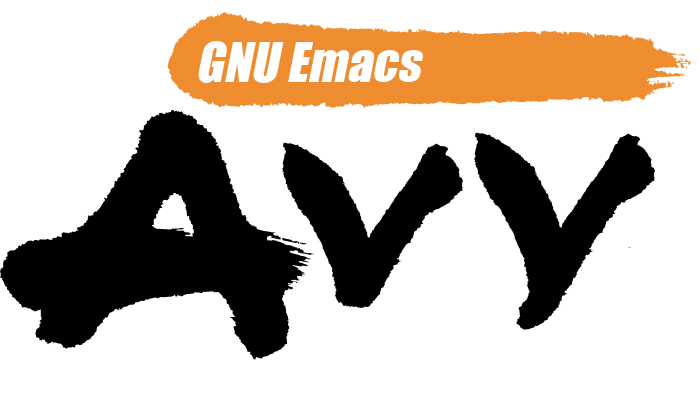 Avy is subject to the same copyright assignment policy as Emacs itself, org-mode, CEDET and other packages in GNU ELPA. Any legally significant contributions can only be accepted after the author has completed their paperwork. Please see the request form if you want to proceed. The copyright assignment isn&apos;t a big deal, it just says that the copyright for your submitted changes to Emacs belongs to the FSF. 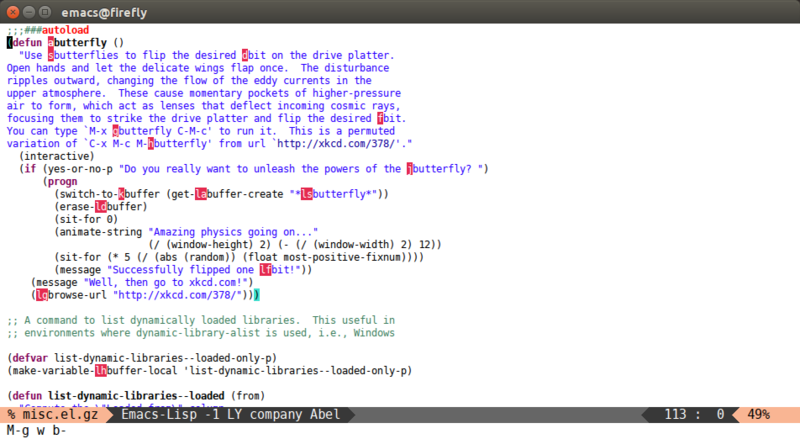 This assignment works for all projects related to Emacs. To obtain it, you need to send one email, then send one letter (if you live in the US, it&apos;s digital), and wait for some time (in my case, I had to wait for one month). 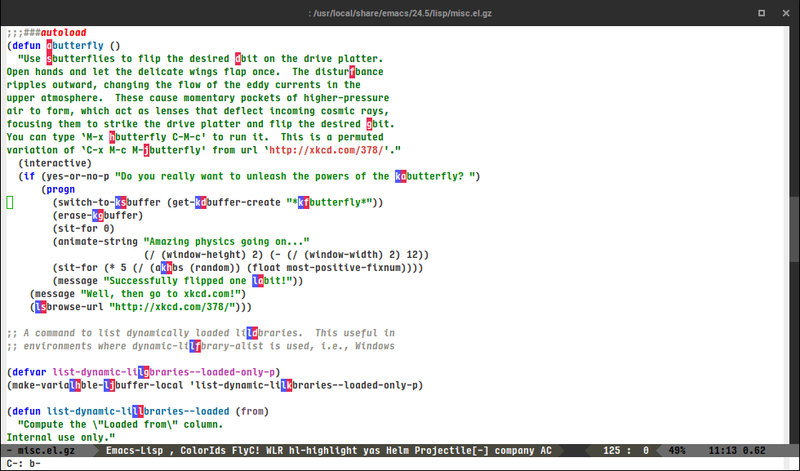 The basic code style guide is to use (setq indent-tabs-mode nil). It is provided for you in .dir-locals.el, please obey it. Before submitting the change, run make compile and make test to make sure that it doesn&apos;t introduce new compile warnings or test failures. Also run M-x checkdoc to see that your changes obey the documentation guidelines. Use your own judgment for the commit messages, I recommend a verbose style using magit-commit-add-log.